One the most overlooked steps in the pursuit of a healthy lawn is a regular fertilizer and effective weed control program. Watering your lawn is simply not enough to maintain the optimal health for your grass. This is particularly true during Minnesota summers when the punishing sun drains the soil’s nutrients, making it inadequate to supply your grass with what it needs. At Lakes Landscape Services, we don’t buy generic fertilizer in bulk. 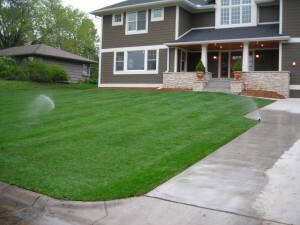 Instead, we customize the fertilizer based on variables specific to your lawn so that it gets exactly what you need. Our liquid application is an environmentally friendly mix that is completely non-phosphorous. This means it won’t run off into storm water or ground water, contaminating our beautiful lakes. We’re licensed annually by the State of Minnesota. We offer a five-step fertilizer and weed control program, allowing us to eliminate weed problems as they occur and to keep your lawn nutrient-rich at all times. 1st Application: This application is a slow-release fertilizer with pre-emergent crabgrass control. We also check for broadleaf weeds (like dandelions) and treat if necessary. 2nd Application: This is the perfect time for our weed control application. Your lawn will be treated for broadleaf weeds. 3rd Application: During this application, your lawn will be treated with a slow-release granular fertilizer to promote new plant and root growth. We’ll also check again for broadleaf weeds. 4th Application: In this treatment, your lawn will be fed with a slow-release fertilizer. 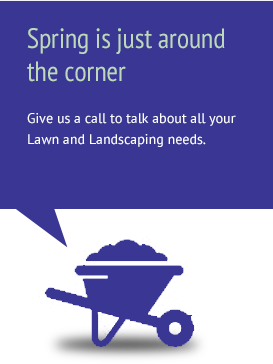 We’ll also inspect your lawn for grassy weeds and treat if necessary. 5th Application: Our fall application consists of a blended slow-release fertilizer and broadleaf weed control. This will get your lawn ready for winter.